ENGIE has been actively supporting long-standing partner and agri-food world leader Nestlé in its sustainable commitments. 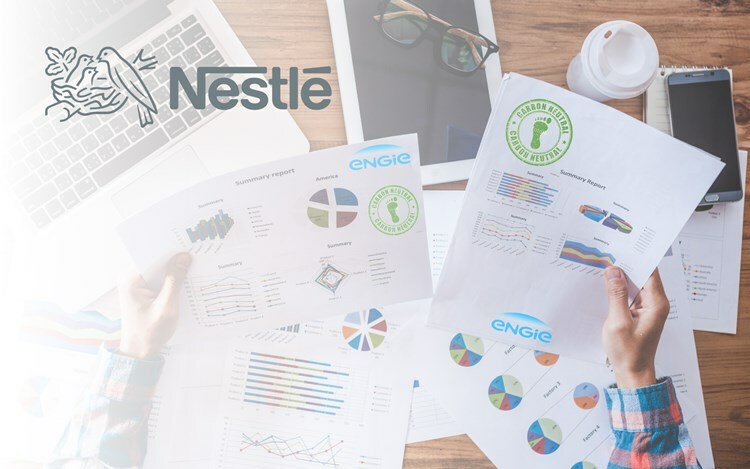 More recently, ENGIE teams offered their expertise to help Nestlé meet its carbon-neutral targets through a comprehensive audit performed on two French client sites. Our teams were able to provide Nestlé with an accurate view of the sites’ carbon footprint throughout the production chain, resulting in a full range of solutions to green up their activities. Indirect emissions throughout the production chain, from sourcing to end-consumption. ENGIE has showed its capacity to provide Nestlé with an end-to-end approach to business greening. ENGIE is prepared to stand by actors of all sectors who seek to limit their carbon footprint on a local or global scale and help them move towards a decentralized and decarbonized world.